A judge in the US has temporarily halted the publication of a book billed as a follow-up to classic 1950s novel The Catcher in the Rye by JD Salinger. Salinger is suing Swedish author Frederik Colting over his new book 60 Years Later: Coming Through The Rye. According to legal papers filed earlier this month, Salinger's lawyers called the book a "rip-off pure and simple". Mr Colting claims his book, featuring a character based on Salinger's hero, is a literary commentary not a sequel. Mr Colting said he wrote the book as a critical exploration of the relationship between Salinger and his fictional character, the disaffected teenager Holden Caulfield. Colting's book was "not about what happened to Holden Caulfield but it is about JD Salinger trying to deal with this character," the Swedish author's lawyer, Edward Rosenthal, told the court in New York. But Salinger's lawyer Marcia Beth Paul called Colting's book "pure commercialism", adding that 94 percent of the book was told in Caulfield's voice. "This is a book about Holden Caulfield," Ms Paul said. "It's a sequel, plain and simple." The Catcher in the Rye, first published in 1951, is a tale of adolescent alienation and has become one of the most influential American novels of the modern era. The novel sees Caulfield wandering around New York and railing against the establishment, following his expulsion from boarding school. Mr Colting's novel sees 76-year-old Mr C - whom the author has admitted is based on Caulfield - escape from a retirement home and head to New York. Both books end near a carousel in Central Park. Judge Deborah Batts called the books "substantially similar". Although there was limited legal precedent to illustrate that a character - with no drawings or photographs - could be copyrighted, Judge Batts said she believed Caulfield could be. "It's a portrait by words," she said. "It is difficult, in fact, to separate Holden Caulfield from the book". Salinger, who was not in court because of health issues, has taken legal action to protect his copyright on previous occasions. The 90-years-old reclusive author has also refused filming rights for his story. 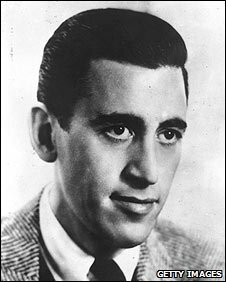 In one of his last-given interviews, in 1980, Salinger told the Boston Sunday Globe: "There's no more Holden Caulfield. Read the book again. It's all there. Holden Caulfield is only a frozen moment in time." Judge Batts issued a 10-day restraining order, before ruling on whether to grant Salinger's legal request to ban its publication in the United States. Along with Colting - writing under the nom de plume John David California, London-based publisher Windupbird is cited in court documents, along with Swedish publisher Nicotext and California-based SCB Distributors. 60 Years Later: Coming Through the Rye, which is dedicated to Salinger, is due to be published in the UK later this summer and in the US in September.